Ondaatje was born in Colombo, Sri Lanka, then called Ceylon, in 1943; he is of Dutch, Sinhalese, and Tamil ancestry. His parents separated when he was an infant; he then lived with relatives until 1954 when he joined his mother in England. Before moving to England, he attended S. Thomas' College, Mount Lavinia in Colombo. 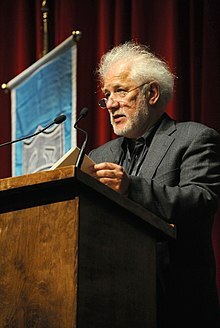 While in England, Ondaatje pursued secondary education at Dulwich College; he then emigrated to Montreal, Quebec, in 1962. After relocating to Canada, Ondaatje studied at Bishop's University in Lennoxville, Quebec, for three years. In his final year he attended the University of Toronto where he received a Bachelor of Arts degree in 1965. In 1967, he received a Master of Arts from Queen's University, Kingston, Ontario.